We’ve arrived at day two of my personal Top 25 David Bowie, covering numbers 20-16. Let’s get to some incredible music, shall we? I’ll cover numbers 15-11 tomorrow! I’ll be back tomorrow with numbers 20-16! This evening, the 23rd Annual Screen Actors Guild Awards airs and it will likely provide further hints of the direction the Academy may go in with their acting races. As I did with the Globes and will with the Oscars, here are my predictions on what and who will win! Prediction: It’s important to note that SAG is honoring best cast and NOT Best Picture. Therefore the Academy’s Best Picture and this category have only matched 10 out of 22 times. This really appears to be a horse race between Short and Spotlight and it truly go either way. I’ll pick Spotlight for the win which would solidify a true three movie race with Short and The Revenant for the Oscar. PREDICTION: Oscar and SAG have matched 17 of 22 times here, which is the best margin of all. This race will further determine whether Leo is the true front runner and my suspicion is it will. Leo all the way. Prediction: 15 for 22 match with Oscar here. Larson keeps racking up trophies and is the Academy front runner and I suspect she’ll win here. Prediction: 14 for 22 Academy match. This is the most interesting category of the night. Only 2 of the nominees here (Bale, Rylance) are Oscar nominated and the potential Academy favorite (Creed’s Sylvester Stallone) is nowhere to be found. This race could certainly provide an upset, but it’s fair to say Bale and Rylance are the most likely winners. In a tough one, I’ll give the slight edge to Rylance. Predicton: 13 of 22 Oscar match. Winslet was a surprise Globe winner and if she prevails here, we all may need to rethink our Oscar prognostications. Here’s another race where an upset is possible, but I’ll go with Miss Vikander for the win. And that’ll do it for now, folks! Next weekend brings your yearly dose of Nicholas Sparks adaptations as his 2007 novel The Choice comes to the screen. Benjamin Walker and Teresa Palmer headline with Maggie Grace, Tom Welling, and Tom Wilkinson costarring. The romance seems destined to continue the trend of diminishing returns for Sparks fare. While 2012’s The Lucky One and 2013’s Safe Heaven each started out in the low 20s, 2014’s The Best of Me earned just $10 million and 2015’s The Longest Ride made $13 million out of the gate. I believe The Choice might even struggle to earn double digits and I’ll put it just under that. Based on a 2009 novel, the works of Jane Austen get a scary injenction with Pride and Prejudice and Zombies, out next weekend. The horror comedy features Cinderella star Lily James alongside Sam Riley, Jack Huston, Charles Dance, and Lena Headey. Interestingly at one time, Natalie Portman was tapped to headline this and David O. Russell was attached to direct. Coming out on Super Bowl weekend, its tough to see this breaking out in any significant way. The marketing campaign has been iffy and it’s not like there hasn’t been plenty of zombie offerings in the past few years. I’m not at all confident this will approach $16.3 million managed by another mashup, Abraham Lincoln: Vampire Hunter, in the summer of 2012. In fact, unless horror aficiandos really turn out, I think this grosses about half that figure. The Coen Brothers are back behind the camera with Hail, Caesar!, out next weekend and they’re bringing a star studded cast with them. The Hollywood set comedy features Josh Brolin, Coens regular George Clooney, Ralph Fiennes, Jonah Hill, Scarlett Johansson, Frances McDormand, Tilda Swinton, and Channing Tatum. Joel and Ethan have spent the last couple of years having their scripts (Unbroken, Bridge of Spies) produced rather than directing and it’s their first effort since 2013’s Inside Llewyn Davis. This marks their first feature to debut wide since megahit True Grit over five years ago. Hail, Caesar! should be helped by its familiar face cast, but I don’t think that means it’ll open too much bigger than Coen comedies of the past dozen years. Both 2003’s Intolerable Cruelty (also starring Clooney) and 2004’s The Ladykillers started out with around $12 million. 2008’s Burn After Reading got off to a $19 million debut and it may have helped that it came hot on the heels of the directors’ Oscar winning No Country for Old Men. I’ll predict a gross in the mid teens looks most feasible here. Just one day after the Sundance Film Festival gave us our first 2016 Oscar contender with Manchester by the Sea, the second landed today in a very big way. 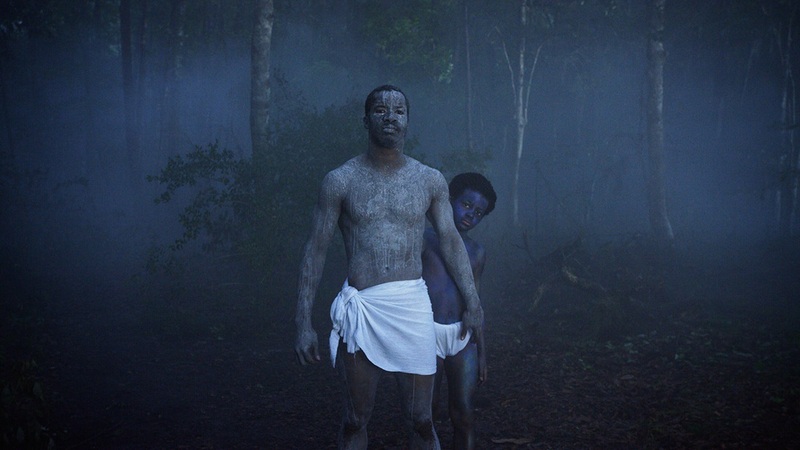 It arrived in the form of Nate Parker’s The Birth of a Nation, which Mr. Parker also cowrote and stars in. Nation tells the story of the 1831 slave rebellion led by Nat Turner. Costars include Armie Hammer, Jackie Earle Haley, and Gabrielle Union. The $10 million production reportedly took Parker (a semi well known actor known who’s appeared in Red Tails and Non-Stop) seven years to get off the ground. At today’s Sundance screening, Nation was greeted with rapturous word of mouth and a prolonged standing ovation. There is expected to be a feeding frenzy among studios to purchase the film’s rights. Expect fervent buzz for this get attention for Best Picture, Director, Original Screenplay, and Actor with Parker seemingly on his way to becoming a household name. Bottom line: two days at Sundance have already in January produced two real possibilities come next year at Oscar time.